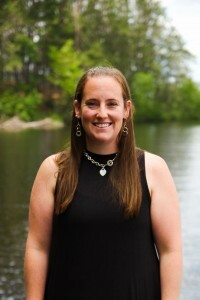 Dr. Grace grew up in the Rhinelander area and graduated from Rhinelander High School in 2004. She went on to undergraduate college at UW Superior and continued her education at Northwestern College of Chiropractic in Bloomington, MN. Dr. Grace graduated Chiropractic school in the fall of 2011 and began practicing at Hometown Chiropractic Center in Tomahawk Wisconsin (formerly Allied Health). Dr. Grace has been practicing in Tomahawk for the last 6 years and recently when Hometown Chiropractic expanded to Rhinelander she was able to come home to her hometown! Grace, her husband and stepdaughter live in the Pine Lake area and spend their free time traveling, wake-boarding, swimming, kayaking, boating, cross country and alpine skiing. During the winter months Dr. Grace coaches the Rhinelander Alpine Ski Team. Dr. Grace is excited to be truly home in Rhinelander Wisconsin and be able to serve the community that she grew up in, she has a special interest is sports, athletes and families. “I would love the opportunity to show you how chiropractic can improve your life. Contact our Rhinelander office today!